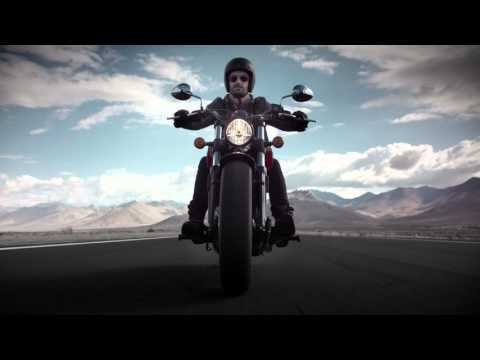 MODERN TECHNOLOGY: Modern technology ensures efficiency reliability and an outstanding riding experience. Featuring electronic fuel injection. Engine counterbalancing for smooth operation. A 5-speed transmission. And liquid cooling. 60 CU IN ENGING: It doesn’t just look mean. This blacked-out, liquid-cooled V-Twin has a displacement designed for a confidence-inspiring ride with best-in-class handling and performance. BLACKED OUT HEADLIGHT: A sleek blacked-out headlight compliments the bike’s style while remaining true to the Scout’s® legendary heritage. 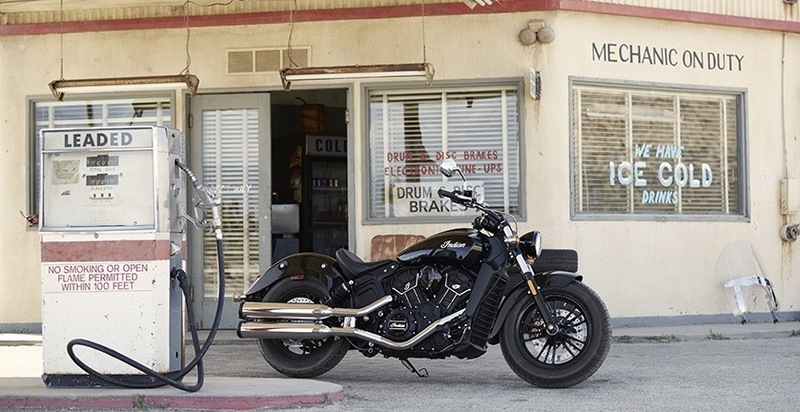 BLACK SOLO SEAT: Scout® Sixty features a sleek, black seat that’s as stylish as it is comfortable. PAINTED BLACK HANDLEBARS: Blacked-out handlebars match both the frame and engine to complete Scout® Sixty’s custom look. LIGHTWEIGHT ALUMINUM CHASSIS: With its lightweight aluminum chassis, the Indian Scout® Sixty delivers sporty, responsive handling. We even solid-mounted the engine in the frame to increase stiffness and ensure smooth, predictable handling at all speeds. CAST ALUMINUM FRAME: We designed the cast aluminum frame to cradle the engine in a way that minimizes vibration. 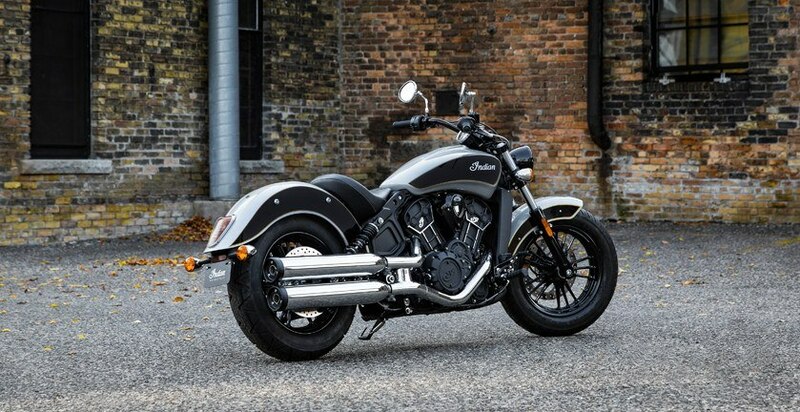 The Scout® Sixty also features the rigid triangle design that was so popular on the 1920s Scout®. 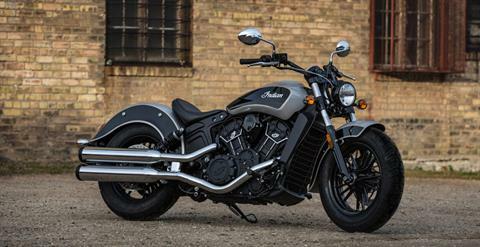 BEST-IN-CLASS HANDLING: The Scout® Sixty delivers a confidence-inspiring lean angle that both new and experienced riders will appreciate. 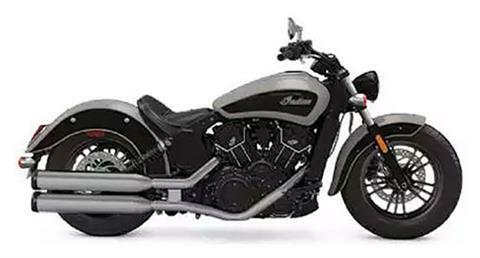 This, combined with the bike’s low center of gravity, provides exceptional high- and low-speed maneuverability. LOW SPEED HANDLING & MANEUVERABILITY: A lightweight design and low seat height of 25.3 inches provide impressive low-speed handling and maneuverability. FLEET SIDED FENDERS: Fleet-sided fenders, a styling cue inspired by the original Scout®. 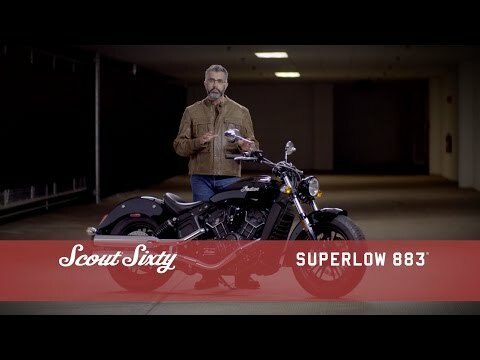 LIQUID-COOLED PERFORMANCE: The Scout® Sixty’s liquid cooled V-Twin was designed for a confidence-inspiring ride, allowing you to harness all 78 horsepower into every curve and straightaway. 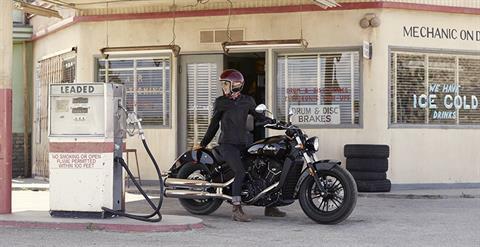 BLACK CAST ALUMINUM WHEELS: With the Scout® Sixty, style comes standard. And these blacked-out durable cast aluminum wheels add some extra punch to an already bold look.